Last Sunday was Teacher’s Day in Vietnam, so in the week leading up to that, I had to dress up twice, once for a celebration at school, and once for a luncheon with all the professors and staff of our department. The weather is still annoyingly warm, but at least it’s not so humid as it was during the summer, so even though it was in the upper 80’s, I could wear something more seasonal appropriate like this. 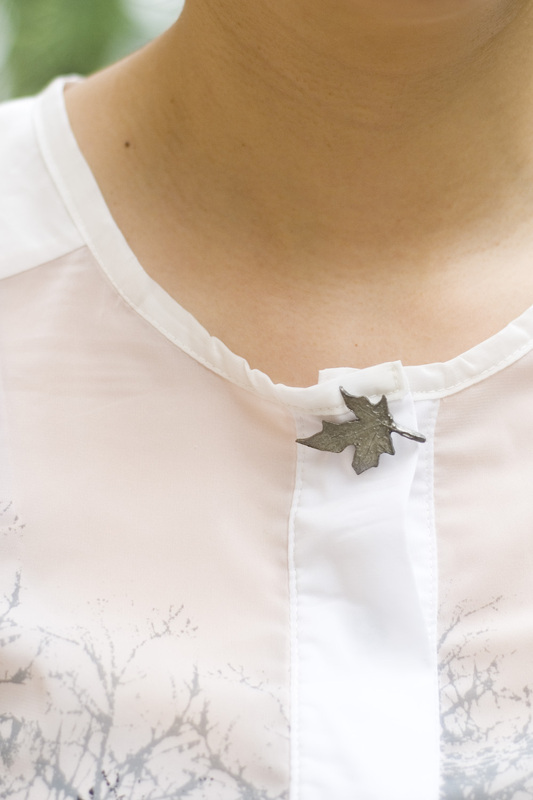 If a blouse printed with skeleton trees and a leaf brooch are not “seasonal appropriate” for fall, I don’t know what is. You always look nice Salazar; very professional. Your blouse is pretty awesome; love the trees look.